The inhibition of wearing a hoodie during the summer is so inherent that the comfortable piece of clothing gets limited to the gym only. But considering the versatile appeal of a hoodie and the easiness it offers, we are seriously reconsidering the dressing limitations. 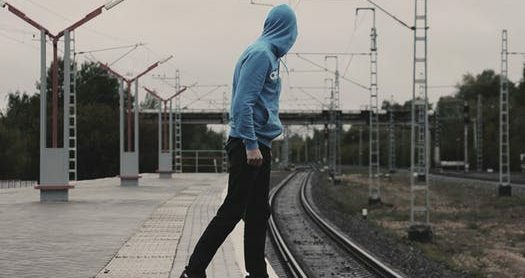 For those who love hoodies and has explored and exploited all its functionality knows very well how well a hoodie can complement your summer attire. Yes, there is the fear of overheating. But that is avertible. All you need to do is find the right materials (cotton, rayon, and linen are the safest bets) and team it with the right attire. If you need a little reference, keep reading. Four such awesome ensembles have been mentioned for your convenience. So, sheer clothing is a thing. And you know why all fashion enthusiasts love it, because of something called ventilation! A sheer hoodie is new on the market and is available exclusively with renowned hoodie manufacturers USA based. Wearing the sheer hoodie is like having holes everywhere, but with the comfort of a hoodie. It doesn’t look ostentatious because it is a hoodie?! Whatever be it, slip into a tank top underneath and wear a pair of comfortable jeans to complete the look. Now, it is important to mention that a sheer hoodie can come in all types of colors and textures. For an elegant appeal, it is better to opt for an embellishment-free version. Just like sheer hoodie is a thing right now, so is (and officially) cropped hoodie. might be a bit controversial, but it is extremely comfortable and who cares about the opinions of insignificant others? Pairing a cropped hoodie with a midi skirt and pumps is the perfect dress-up ensemble. If the occasion to attend is a day one, opt for lighter shades like pink or white. For an evening jamboree, black or navy will do just fine. Also, remember to complement the color of the skirt with the hoodie for an enhanced aesthetic appeal. Accessories can be added accordingly! If your office air-conditioner decides to disobey you and the heat outside, a hoodie in summer can be handy. However, when you step out for lunch, you wish you had covered less. The confusion is much! Hence, the ensemble which features a sundress and a hoodie. Opt for a stripped version of the sundress with a soft pastel shade, much like in pink or blue, to keep you from feeling too hot. An oversized white hoodie will add to this elegant attire, enhancing it by volumes. A pair of ballerinas and modest accessory like a pendant will complete the ensemble with the conventional sophistication you need in your workspace. A go-to summer outfit must constitute a pair of shorts. Those are easy to wear and combine with a hoodie. A pair of breezy shorts will keep you at ease regardless the time of the day. Denim, because that is in juncture with the latest trend. just be mindful of the length of the shorts. You don’t want it too long because that looks just sleazy; and unless you want tanned legs, too short a version is not going to work either. The bet is on a pair that reaches the mid-thigh. As for the hoodie, pick it in a subtle shade of grey or white to look spontaneously classy and be at ease as well. So, this summer, don’t ditch the hoodie because of the sun, beat the sun by wearing the hoodie right. Reputed wholesale clothing suppliers have the finest collection of the versions displayed in the inventory. Retailers can browse through the collection and pick the piece they wish to buy in bulk. To avail massive discounts, register today! Previous Post5 Types Of Shirts That Your Summer Wardrobe Needs To Cover!Next PostHow Manufacturers Upgrade Themselves To Be Fitness Clothing Wholesalers!